Mayukhini Pande, the co-founder of Greenopia, just wrapped up a session in Bengaluru about how even busy bodies like us can grow plants amidst the bustle of city life. 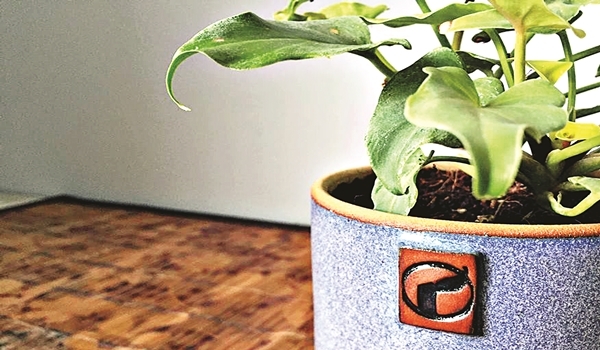 The organisation, which has an online store for desk and home plants, has been hosting sessions to educate people about planting and farming in an urban setup. a�?Greenopia is an initiative by designers, engineers and plant-lovers to make green thumbs of urban folks. We design products that make it easier for inexperienced people to grow and maintain their plants, that make an aesthetic statement too,a�? Pande tells us about the organisation. Urban farming is a new trend that has caught the attention of professionals in the city. Greenopiaa��s latest venture is hydroponics. It provides the answer to the lack of space and resources that is a huge problem in a metropolis like ours. Hydroponics is the technique of growing plants without soil, in water, with mineral nutrients added to it. a�?One of the reasons for the recent interest in it is that it is considered most appropriate for urban contexts where you dona��t have enough access to fields for growing vegetables, and soil-based container gardening can be challenging for busy, inexperienced professionals,a�? she explains. The sessions discuss the ins and outs of gardening. Informing and creating awareness seem to be at the top of their agenda. The challenges that come with urban gardening and why ita��s important for folks to get into it, are some of the topics that are discussed. Coming to the range of products, their store recently released a selection of desktop plants, most notably, desktop succulents and bottled plants. Interested customers can also pick up other pieces that come with self watering devices, handmade pots and growing media, from their website. Their herb gardens are the most popular. They even sell plants that match your astrological signs, which make perfect gifts. Greenopiaa��s project earlier this year, Smart Herb Gardens, was a huge crowd-funded success. The project has a kit which, with the help of an app, makes the process even smoother. You can water your plants with one click from anywhere, keep tabs on its health and of course, take and share pictures. a�?We also have some interesting sessions and workshops lined up post Diwali,a�? Pande concludes.